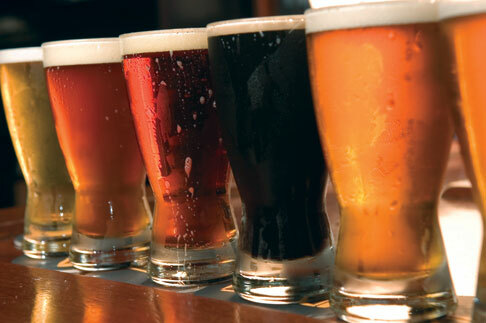 I like beer, in fact I would have to say I am a bit of a beer geek. 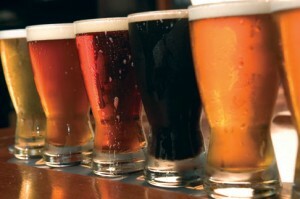 I like many different beer styles, Lager, Ale, Stout, Belgian Beers, German Beers, you name it, chances are I like it. I enjoy beer and food matching. Like this too much to give up ? No problem ! I get as much pleasure of pairing a beer style with a food as I would with wine, what many people do not realise is that beer is a better match for many more foods than wine, spicy foods are the most obvious example that most people agree on, but trust me, there are so many more. Nothing pairs better with a chocolate desert than an imperial stout. I wanted to give hope to other beer lovers out there that , yes it is possible to drink beer and lose weight. I have continued to enjoy drinking beer on a regular basis and I have still lost 20 kilos. There is simply no way I would give up drinking beer. So let us talk about the one big myth with beer and weight loss. Beer does not make you fat. Too many calories make you fat, an average pint of 4% ABV beer is around 200 calories, less than a mars bar and about the same as 100g ( 4oz ) of fillet steak. A beer belly, or beer gut is a term we all know, but the truth is there is no such thing as a beer belly, just as there is no such thing as nacho belly or an ice cream belly. If your stomach is bursting over the top of your trousers, it is because you consume too many calories not because of beer alone… well unless the only calories in your diet come from about 15 pints of beer a day ! I am not going to tell you that you can drink 10 pints of beer a night and lose weight ( though technically it is possible ) What I will say is you have to understand how many calories you are drinking and budget those into your daily total. The department of health give us guidelines of how many alcohol units we should consume per week, ( 3-4 for Men and 2-3 for Women per day) if we take their guide, it would be fair to say you could drink about 1 pint of 5% abv lager per day. I don’t want to get into the debate of how many units of alcohol we should or should not have, I just want to highlight the calories. One pint of 5% lager is about 250 calories , one 330ml bottle of 5% lager is about 142 calories , understand the calories in beer, build those calories into you weekly plan, and you can still lose weight while enjoying a few beers. For more information on calories in beer and the amount of units we are supposed to drink, check out the drink aware website , you can use their alcohol unit calculator to help you track your consumption. If you want to lose weight, but don’t want to stop drinking beer, one thing does not change. You must be in a calorie deficit to lose weight. You have to look at your current eating and drinking routine and look for a way to reduce the calories. Look at how you drink beer, do you always reach for the salty snacks ? do you just have the one pint , or does it need to be at least 2 ? do you drink in the pub or at home ? is beer a big part of your social life ? understanding your relationship with beer, is the key to losing weight while still drinking beer. For me the easiest way of doing it for the last seven months has been with intermittent fasting. I fast for no longer than 24 hours, and I still eat every day, but I have found this method the easiest way to restrict the amount of calories I consume. I am not saying this is right for you, just that its calories in v calories out that matters. I also tend to drink beers that are full of flavour, rather than just a standard pale fizzy lager. I try to savour what I drink. Beer Weight Loss Upadte Feb 2011. I still enjoy my beer, and lost the weight and keep it off. In the end I lost over 65lbs and beer is still part of my regular life. Now 2 years on I would say to anyone , yes you can drink beer and lose weight. If you want to get a different approach to losing weight, and want to do it without giving up the food and drinks you enjoy, then have read of my anything goes diet review learn what really matter when looking to lose weight. And don’t let anyone ma you give up the beer.